The propagation of Hyacinth bulbs is relatively straightforward and perhaps one the easiest plants to practice with. Like many other bulbous plants their seed has good viability, and they are able to produce offset bulbs from the basal plate. 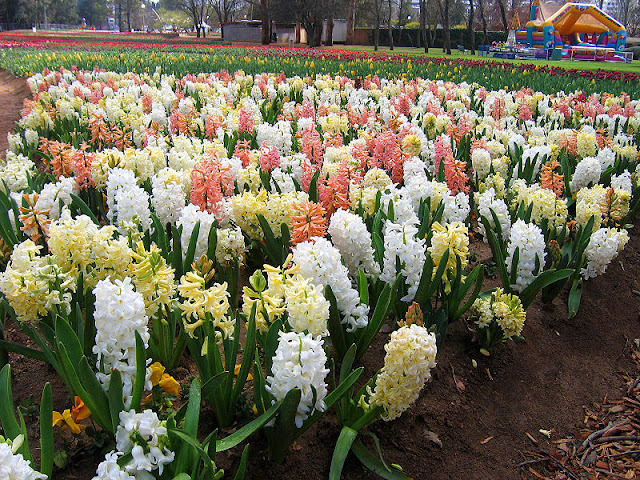 All hyacinths can be raised from seed with species plants from this family almost always growing true to type, flowering within two or three years. Unfortunately, due to their hybridization, the fancy ‘large flowered’ cultivars generally won’t grow true to type and you will need to wait between three and six years for seedlings to flower before you can find out. The chances of obtaining a better variety than the parent plant using seed propagation are unfortunately very slight, and so for these more popular cultivars it’s best to grow new stock from offset bulbs as these will remain genetically identical. Hyacinth seeds can be sown as soon as they have ripened. 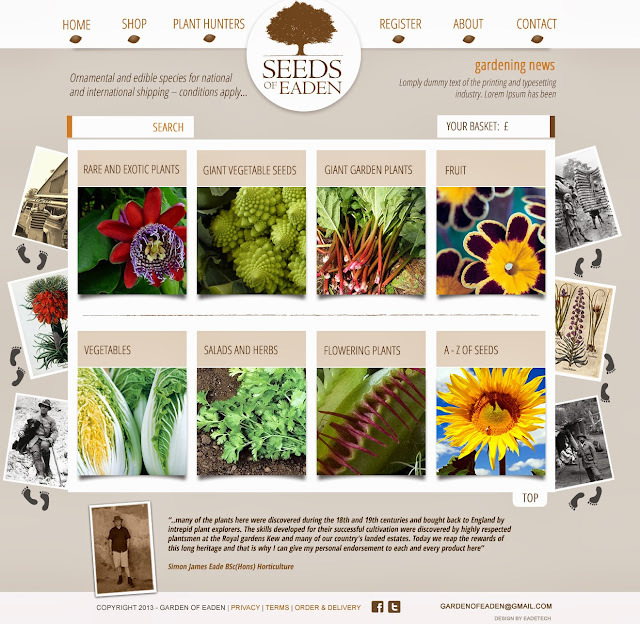 Spread thinly in seed trays of John Innes seed compost, covering them with a thin layer of washed horticultural grit. 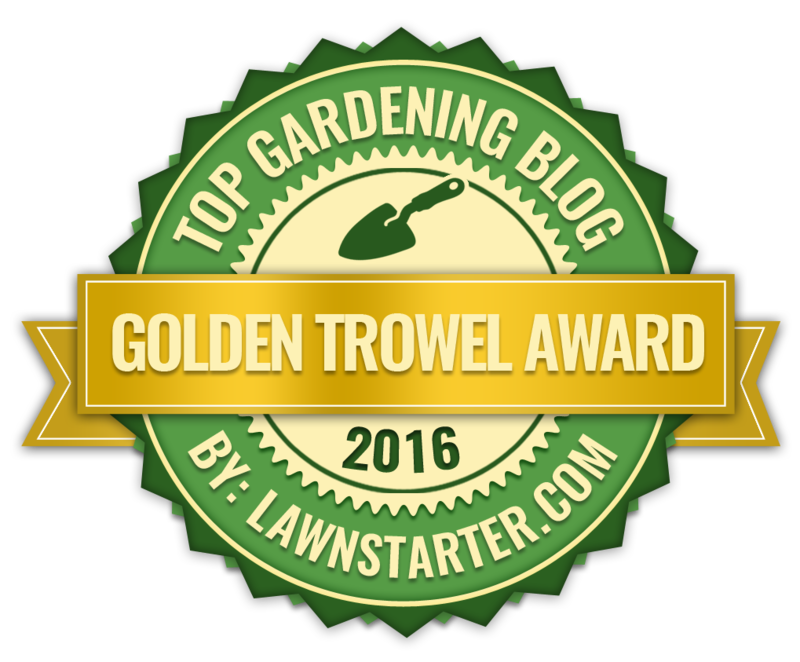 Water them in and place the tray into a cold frame or cool greenhouse, leaving them undisturbed for the first year. In the following year they can be potted on or planted out into a nursery bed. 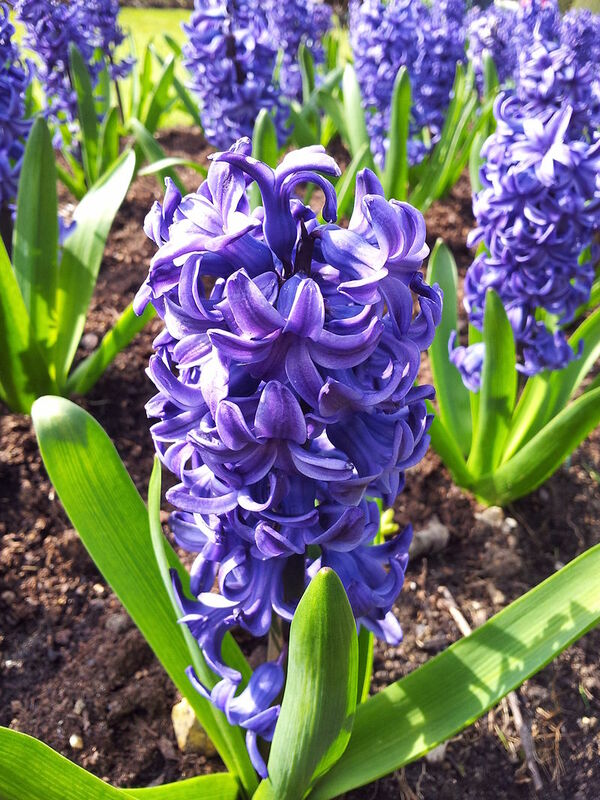 During the hyacinths annual growth cycle apical buds will develop at the base of the parent bulb, but because the main bulb grows larger with each passing year it becomes the central store for carbohydrates and plant nutrients. This parental dominance will reduce its natural propagation by offset bulbs compared to other bulb families. If a significant number of new bulbs are required then the technique of scoring can be implemented to help improve offset bulb initiation. This scoring process involves making two cuts at right angles through the basal plate at a depth of 6 mm then once complete, allow the scored bulb to stand in a warm environment, at approximately 21 degrees Celsius for 24 hours. This allows the cuts to open which can subsequently be treated with a dusting of fungicide to prevent fungal rots from developing. Set the bulb upside down on either a raised wire mesh or a tray of dry sand, then place back it into a temperature of 21 degrees Celsius as this will encourage callusing which also helps to prevent infection from rots. Keep the bulb as dry as possible without the bulb actually drying out. If resting on sand, you may wish to dampen it occasionally. Within three months new bulblets would have developed on the cut surfaces. You can now plant the parent bulb on into a pot, but again it will need to be placed upside with the new bulbs just below the surface of the compost. In March the pot can be taken outside for hardening off. These new bulbs will begin to grow properly now, producing leaves while the parent bulb slowly disintegrates as carbohydrates and nutrients transfer to its progeny. At the end of the season lift and separate the bulblets and replant. Bulbs produced this way usually only need to be grown on for a further two years before they are mature enough to start flowering.